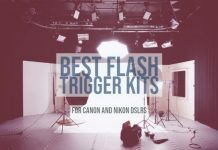 How to choose Speedlite vs Strobe in a studio setup? We help you decide! Photography is often referred to as “Painting with lights.” When it comes to photography, one of the major requirements you are expected to take attention of is to arrange proper lighting, especially in studio settings where you are entirely in control. You need to master the light, and you use multiple options for the purpose. Two most widely used options for regulating lights are Strobes and Speed lights. How do they differ from one another and which among them would be a better option to go with. Let’s find out! 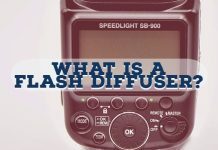 A Speedlight is a portable flash that can either be flashed on the hot shoe of a camera or fired separately on the cold shoe (passively) through wireless radio communication. They are also referred to as Flashgun. A Speedlight is quite portable and affordable. They usually run on standard AA batteries and thus can be carried easily in your camera bag without the need for a separate, dedicated power source. It is an add-on flash in additions to the built-in flash that your camera comes with. While the high-end Speedlights have the wireless compatibility built-in and offer you to use them as off-camera flash or OFC, however, if you are using the affordable Speedlights, you will need to have a separate transmitter for use with your Speedlight. These Speedlights emit a short burst of light, and you should be able to control it through specialized lighting modifiers. Speed lights frequently make use of TTL or the Through the Lens functionality. This will be helpful as an auto mode for flash. You can also have Speedlights with a tilting head that will help bounce the flashlight for providing a softer light effect. A Strobe is a short form for the Studio Strobe. The term Strobe used in the regular context means just the flash. We will be referring the Studio Strobes in the context of a comparison with the Speedlights in this post. A Studio Strobe is a more powerful source of light and works more effectively than the Speed light. It works on a dedicated AC power source and needs a particular arrangement, typically not easily movable. You will either need to have access to a battery pack or need to power it into a wall outlet. They offer you faster recycle times. This will make them the best ones to use when you cannot wait for the flash to get ready for the next shot. Studio Strobes are the ideal options for use in a studio or any indoor environment. Strobe photography helps you go with many options for modification of the light. A strobe comes with a built-in modeling light option. 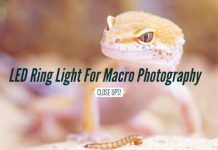 This can help you to get a continuous light and decide where you would want to place the light for the effect that you are looking for. Since the Strobes provides more extensive options for the lighting in your shots, they cannot be fixed on the camera directly. That would mean you will need to depend upon other possibilities to make the strobe and camera communicate with each other. Most of the strobe lights come with the option to connect it wirelessly with the camera. You can even check the possibilities of attaching the strobe with the camera through a wired connectivity option. Some strobes are designed to catch the flash of light and flash themselves. This can help make your camera flash trigger the strobe light work remotely. In terms of the functionality, both the studio strobe and Speedlights have a similar purpose. However, the way they work and the scenarios that they work with are different. That would mean there is no specific area that each lighting type will work for each of the shots. The studio strobe lights are more powerful than the speed lights. However, that should not mean you will be using the complete power of a strobe light in your photography. If you come to that – you will not even use a speed light to its fullest capability. There are areas where a strobe light may be necessary. A studio strobe light can easily overpower sunlight or brightly lit conditions, whereas a Speedlight option will not be able to achieve it. Moreover, the studio strobe lights will be quite a good option if you are looking to continuous and faster flash recycle times. Since they have a larger battery ( and work on the AC power whenever possible), they tend to offer you speedier flash recycles. A Speedlight will need a gap of a few seconds between two consecutive flashes. However, if you are opting for a high-end Speedlight, you will find the same functionality on both studio strobes and Speedlights. If you are going on an outdoor shoot or event shooting in the open, you may not be able to use studio strobes. They need more power options and may not be portable. 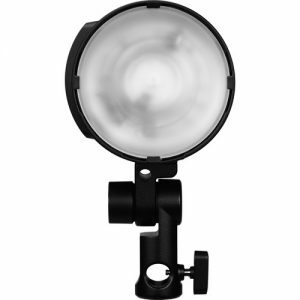 Speedlights are quite compact and thus will offer you an excellent choice for portability. This can be beneficial when your photography schedule needs you to move around the venue quite frequently. The Speedlights are more flexible when you compare them to the studio strobe lights. You can even use it as on-camera flash so that you do not also need to carry your Speedlight separately. 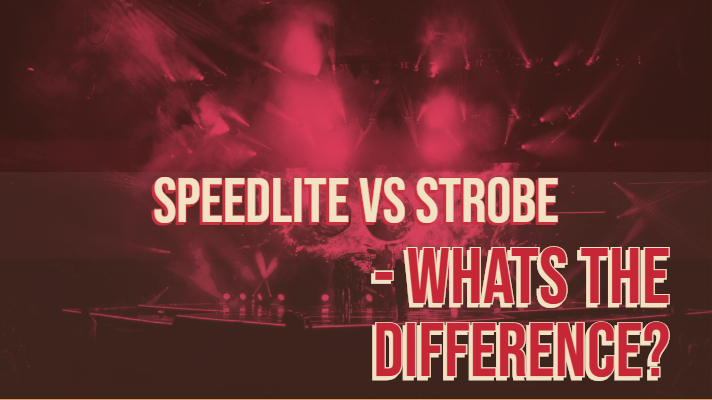 There is one more difference between the studio strobe light and Speedlights. The power of these two light sources is not measured through the same units. For a Speedlight, the power consumption is measured in terms of GN or Guide Number. The Strobes are measured in terms of Watt Seconds or W/s. Well, that would be dependent on multiple factors. Like we have already found out from the discussion above, it should be clear enough that there is an apparent overlap between the use of a studio strobe and a Speedlight. The exact choice will be dependent upon the exact requirements you want to photograph. If you are looking for portability as a significant advantage, you may need to think of Speedlights as one of the best options to go with. They do not require additional power requirements as in the case of studio strobes. However, what if your requirements are not only limited to portability, but there are other requirements as well? If your shooting location and the shooting schedule needs you to overpower the sun, studio strobes should be the only option you can go with. A Speedlight, no matter how high end, will not be able to achieve this requirement. Are you planning to shoot moving objects? In those circumstances, a strobe light is once again a winner and the best option. A moving object requires a faster flash recycle time. Since a Speedlight will not be able to provide you with the option, you will find the studio strobes an excellent choice for the purpose. Another important feature you need to give a thought to would be your budget. Of course, if you want to get the best, you would not be worrying about the price. Even then, if you are not into the kind of photography that a strobe light will demand, you may not need to spend money unnecessarily on them. The strobe lights are expensive and also come with heavy paraphernalia. Go for them only if they are required. The essence of the discussion so far has been able to provide a considerably good deal of information on Speedlights and studio strobes. The strobe lights offer you lighter, give a faster flash recycle time and a modeling light built within for enhanced performance. The Speedlights provide you with the advantages in the form of portability, versatility and offers you the same photographic effects as on the studio strobes. If you are into traditional photography and are not using a studio environment or any such professional level photography as yet, you can invest in a good quality Speedlight kit. However, if you have been working in a studio or into sports photography (or for that matter, any photography that involves moving objects), it would be advisable to go with the studio strobes. Ultimately, the final decision should rest on you depending upon your budget, exact requirements and the kind of photography you are into. Choose the best option you want to go with and share your reasons for opting for it with us the comments section here.